JLA strikes again! This novella is Cam’s POV of Wait for You. No, it is not a sequel. It’s the same story, but from Cam, rather than Avery. Yes, it does have scenes that are not in Wait for You. So yes, it’s definitely worth reading, especially if you loved Wait for You. 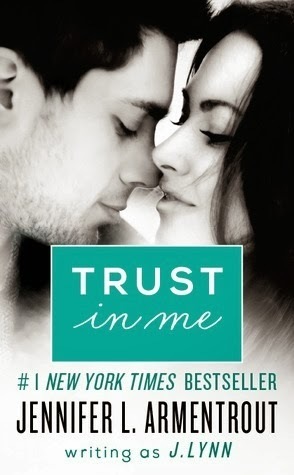 If you liked Wait for You, you’ll love Trust in Me. Now, because it’s from Cam’s POV, it’s quite a bit fouler/crass than its predecessor. It also doesn’t have the same conflict weighing it down the entire time because Cam doesn’t know Avery’s past until the end. Cam has his own issues, but they aren’t as serious as Avery’s. So it was nice to see the story from a lighter perspective. Cam and Avery’s interaction is adorable. Cam just inserts himself in Avery’s life and won’t go away, no matter how hard she tries to ignore him. The new scenes fit perfectly, although truthfully, I couldn’t remember what was new and what wasn’t. As always, I love JLA’s writing. It’s very natural, extremely funny, and completely heart wrenching when necessary. Highly recommended for fans of JLA and the new adult genre. This entry was posted in Book Reviews, Contemporary, Romance and tagged Contemporary, New Adult, Novella, Romance.